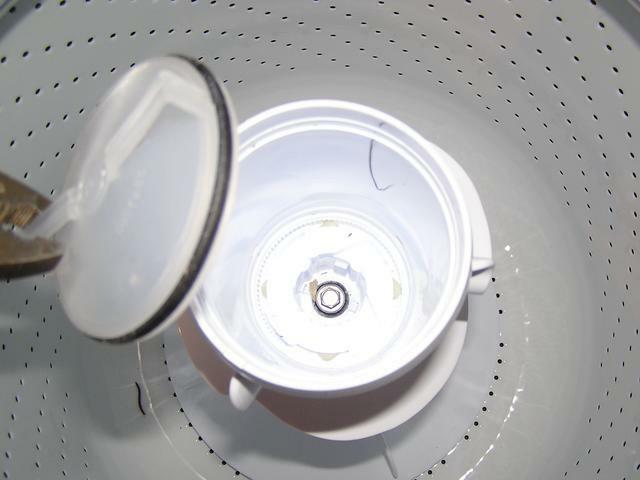 Whirlpool washer model LSQ8543JQ0 not agitating but will spin. Bottom half of agitator will move a little but not the top. Is this the dogs or the coupler? How do I replace the part? Bottom half of agitator will move a little but not the top. Is this the dogs or the coupler? That would be bad dogs. 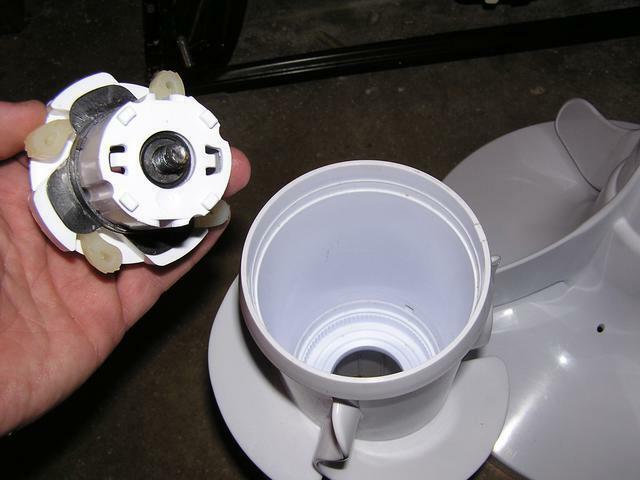 You will have to remove the agitator from the washer and then pull the agitator apart. There is just one bolt in the center of the agitator that holds it on. 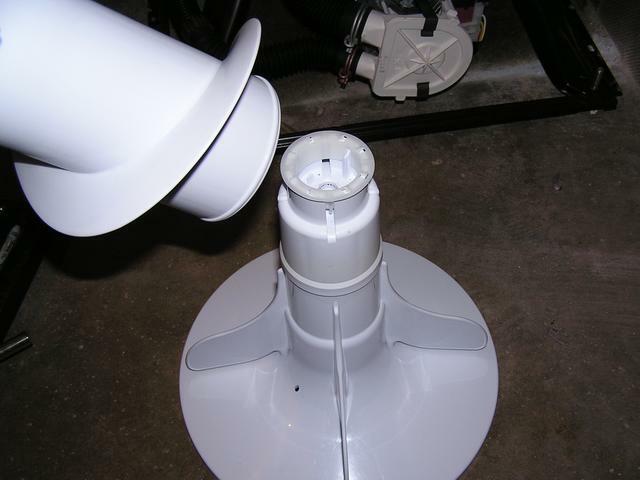 You will have to remove the cover on top the agitator to see the bolt. I will post some photos posted later today and write up a step by step guide that should help if you can't get it on your own from here. Remove the top of the agitator. 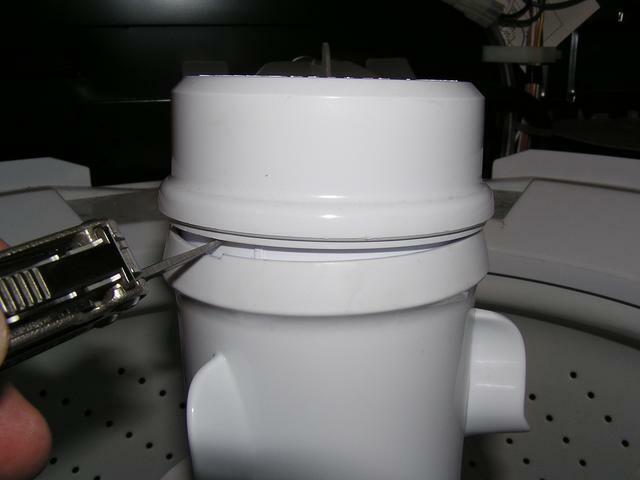 Remove the cover just under the top of the agitator. Now you will be able to see the bolt that holds the agitator in place. Remove the bolt from the agitator. 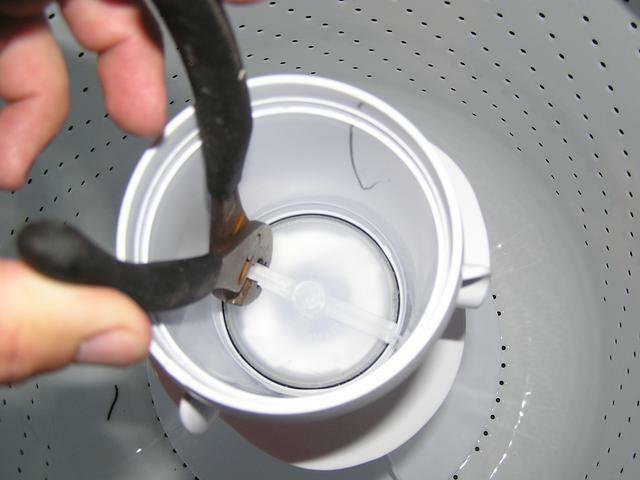 Take hold of the bottom of the agitator and pull up on it to remove it from the washer. Now set the agitator on the floor and hold the bottom half with your feet and pull up on the top half. You will find the dogs in the top half of the agitator. Please keep us updated on how the repair goes for you and if you have any question along the way just ask. Will this repair work on a Whirlpool model LSN1000HQ0 as well. Yes, your model washer uses the same dogs in the agitator. Thank You so very much. This will be my first attempt at appliance repair. Please keep us posted and let us know how it goes. I got the dogs and installed them with no problem. It was extremely easy. Thanks for all the information. Thanks for taking the time to register and post. By the way, still gotta clean the fabric softener dispenser. Does anyone know if the one in this post comes apart so you can easily clean it? The inside is not easy to get to with only two small openings.